Reggie Miller has plans to turn the property at 1252 West 30th Street into a recreation center for neighborhood kids. On May 16, Miller signed a contract with Lincoln Creek Development, owned by Thomas Matthews, to demolish a house currently occupying the property. Miller says he paid Matthews two checks totaling more than $6,000. According to Miller, the checks were issued May 13 and 16 and later cashed, but the building was never torn down and permits signed by Matthews were not filed with the city as required. 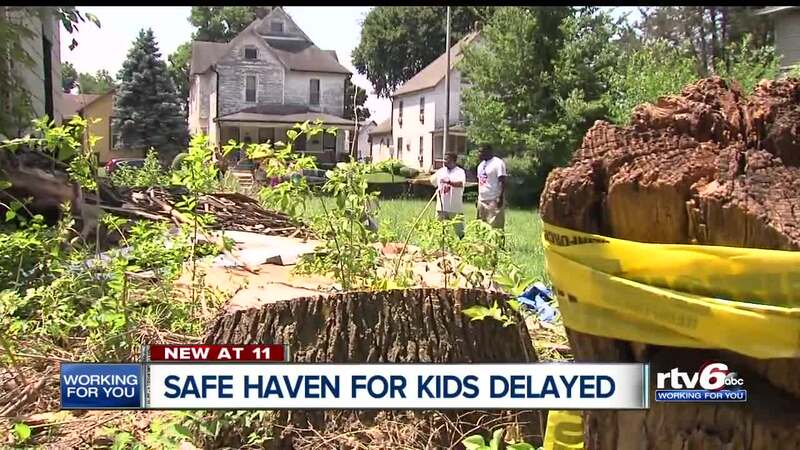 INDIANAPOLIS — A local man is seeking answers after he paid a development company thousands of dollars to demolish a house to make way for a community center and the work was not completed. Reggie Miller has plans to turn the property at 1252 W. 30th St. into a recreation center for neighborhood kids. On May 16, Miller signed a contract with Lincoln Creek Development, owned by Thomas Matthews, to demolish a house currently occupying the property. Miller says he paid Matthews two checks totaling more than $6,000. According to Miller, the checks were issued May 13 and 16 and later cashed, but the building was never torn down and permits signed by Matthews were not filed with the city as required. "[I] talked to him (Matthews) the day after he got the money and he said he would be there the next day to start working, and that was over two months ago," Miller said. "We can't reach him, so we don't know why it's still standing." When reached for comment, Matthews told RTV6 that he completed four days of prep work but stopped because he believed there was asbestos on the property. Miller says he did find and remove asbestos from the building. Due to the delays in the demolition, Miller lost the 30th Street property. However, Miller says he has found a new location to house the community center and hopes to make an announcement later this week.